Glorious Gay Days: Viva Martha Fauker! Although it horrified me initially, we can now joke about the time a French Bulldog breeder's eyes widened when I told her I was the father of a 12-year-old French Bulldog and she then suggested I get a new puppy to help with the grieving process. 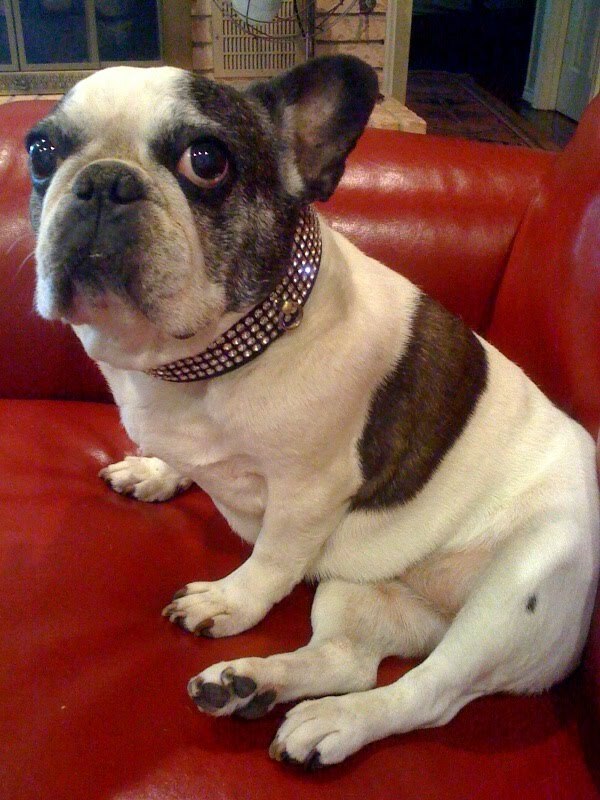 I was horrified because Martha Fauker is still alive and well, but the breeder continued to explain that she's only had a few French Bulldogs live past 12-years-old and she's never had one live past 13-years-old. Since that conversation I've stopped calculating Martha Fauker's age. My husband is starting to coach me through the reality that Martha Fauker will not live forever. I think it's sweet that he's trying to prepare me. He turned to me over the weekend and said in the gentlest voice possible: "You know Martha isn't looking so good..."
I can tell he's trying to check-in with me to see how delusional my thinking: Martha is a pretty-pretty princess and she's going to live forever! it what I like to say when she shows signs of her age. She can't hear very well. She can't always hold her bladder all night, and she no longer wakes me up to take her outside. She likes to sleep in her bed all day long. I understand that she is an elderly dog, but she's not on her death bed. She is my pretty-pretty princess and she's going to live forever! Viva Martha Fauker. We at Perpetual Pet know that the loss of a dearly loved pet is a very difficult experience. Through the use of new techniques in freeze dry technology, we can offer a "Loving and Lasting" alternative to burial cremation or traditional taxidermy. Freeze-dry pet preservation creates a lasting memorial and more importantly, preserves your pet in a natural state thereafter, without any alteration in appearance. This allows pet owners to see, touch and hold their pets, and in a sense, "never have to let go." Best of all, freeze-dry pet preservation results in the preservation of your pet's actual, physical body. This is in sharp contrast to the conventional method of taxidermy, in which only the outer hide of the animal typically remains, attached to a plastic form or other type of artificial mounting. Typically, a small cat or dog will take 10 to 12 weeks. Larger pets will take a longer period of time, perhaps as much as 6 months in the case of a very large dog.